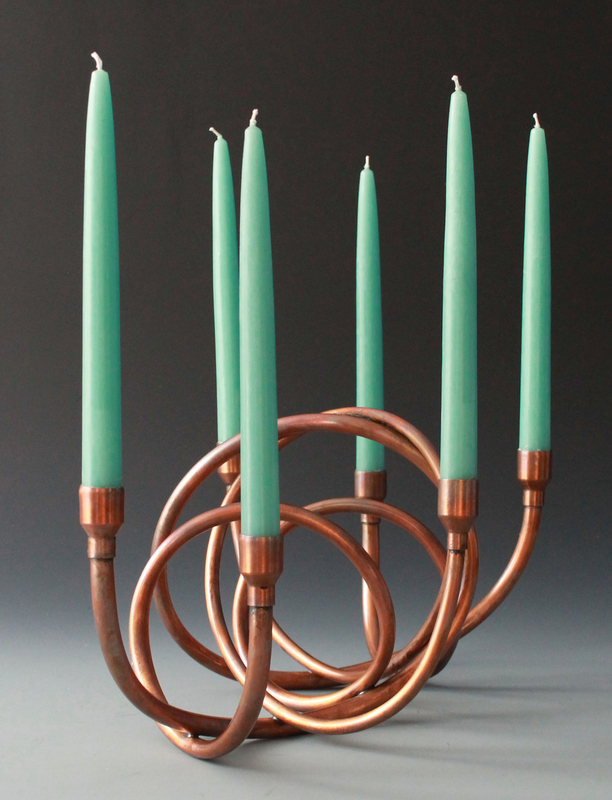 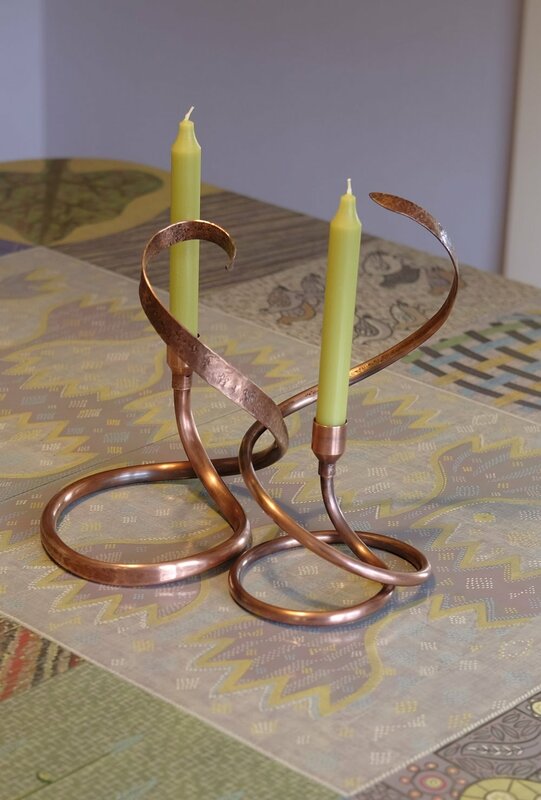 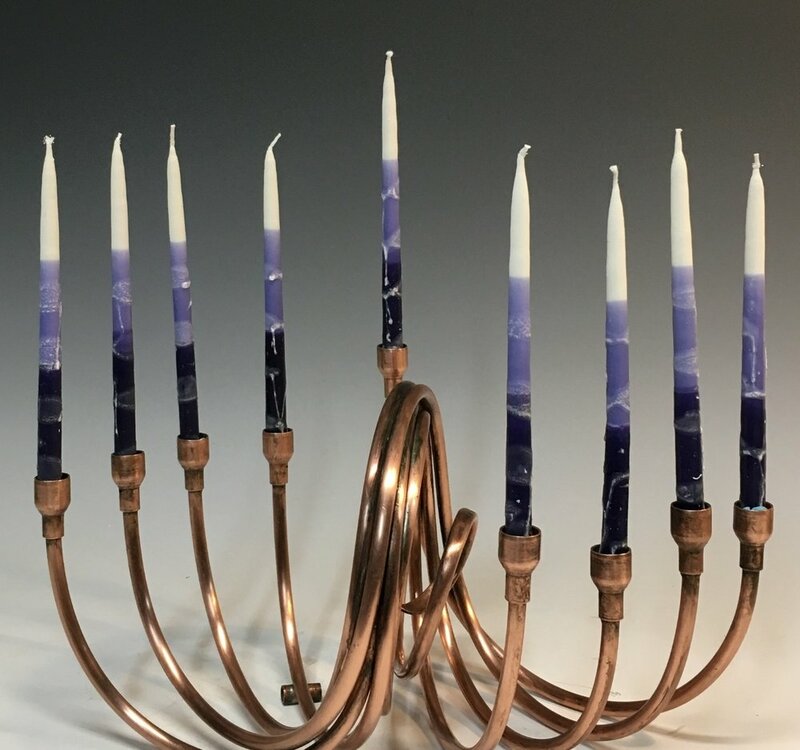 Each of my candelabra are cold forged by hand using soft copper tubing. 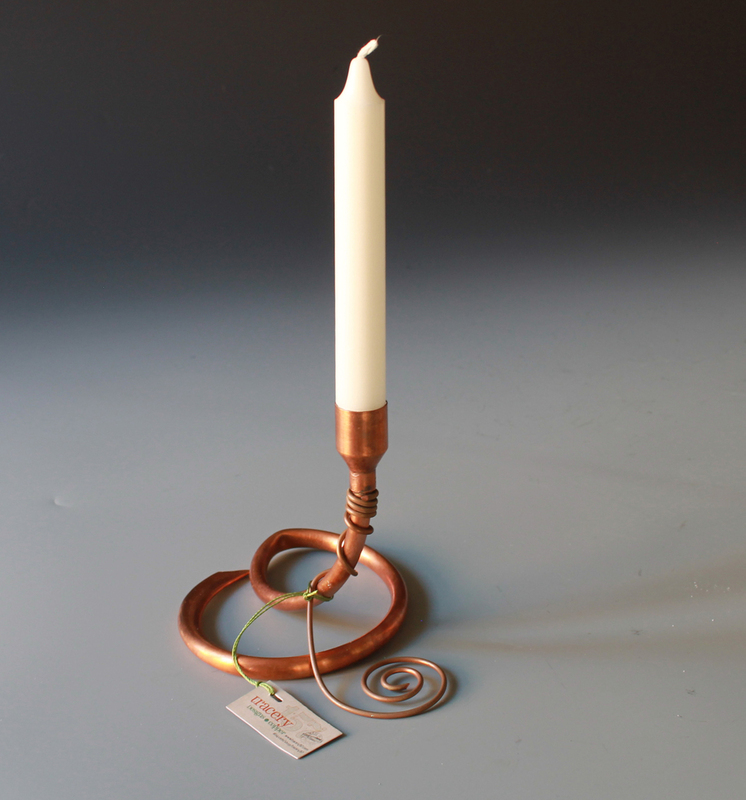 Once the desired shape is made, the piece is balanced, acid washed, polished and waxed. 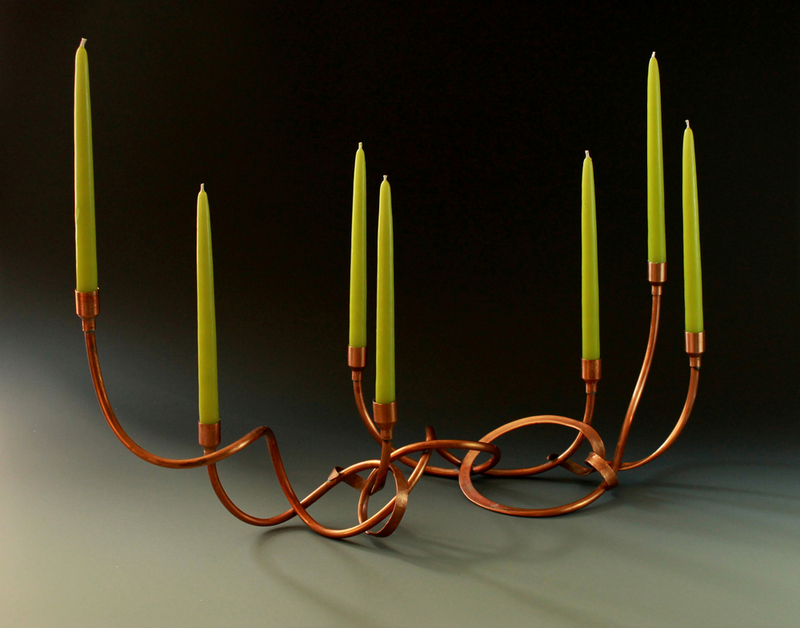 Hand-aged verdigris finishing is also available. 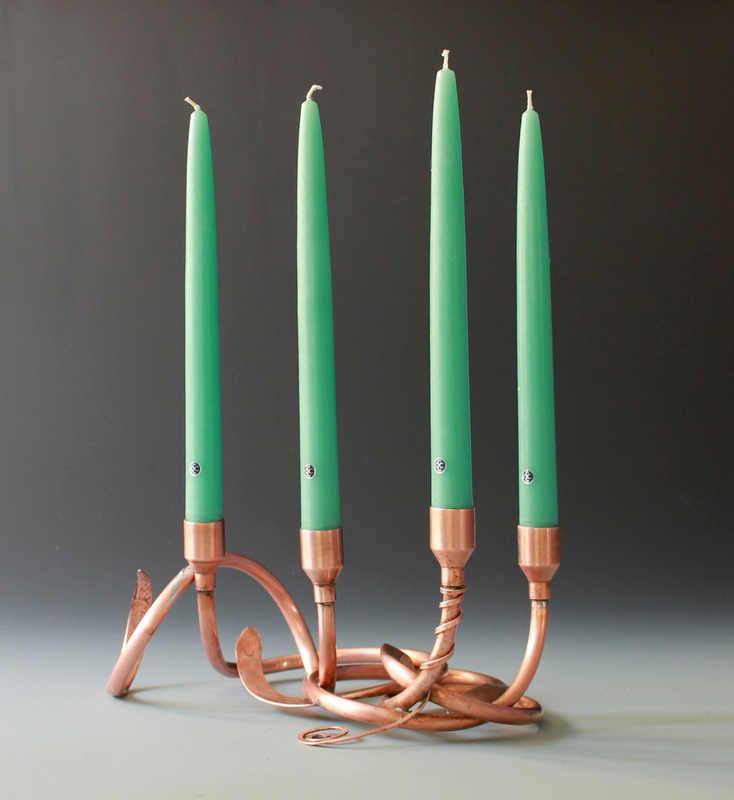 Ranging from single candle stands to 12-light candelabra, these require only candles and a match to bring a soft glow to any setting. 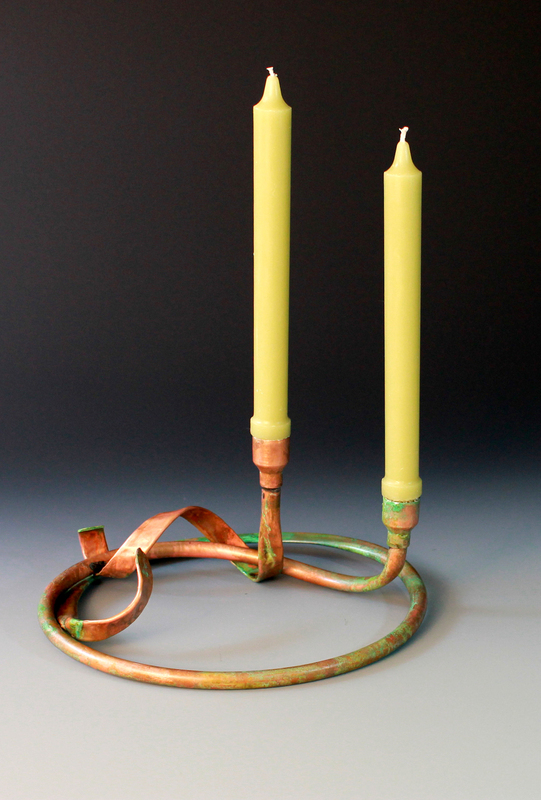 Request a custom candelabra here, or check my Etsy store for current inventory.